I'm now in Pennsylvania and taken down several states in the last week. So long to Virginia, West Virginia and Maryland! This hike has been loaded with challenges, mostly for the fun of it. The word "challenges" here takes on different meanings. The first meaning of challenge is to have to deal with what is presented to us hikers, like bears, bugs, mice, rocks etc. The bears win every time. We must take many precautions to protect the animals while we are out here, like hanging our food so the bears can't get to it. We also need to give the bears the right of way. 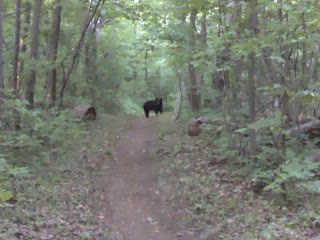 The bears in Shenendoah National Park are very used to seeing people. Hence why I finally got to see my first bear... actually I saw seven. The last encounter was thankfully my last for awhile. On my last evening in the park I ran into momma and her cubs right on the trail. I gave them space and took a couple far away photos. The cubs still very young, saw me as a threat and climbed the first big tree...right next to the trail. Momma bear climbed on the bottom trunk, huffed at me and then just watched what I was going to do. I figured "ok I need to go that way and they are too close to the trail." So I approached them while makin some loud noises and begged them to leave. That didn't work as mom got a little worked up and the cubs climbed higher up the tree. So I backed off again. Next I decided to use my umbrella with a rapid open and close maneuver making lots of noise like a bird flapping his wings. The cubs went further up the tree and Momma just looked at me like I was an idiot, so I backed off again. Finally I used the international human-to-bear signal for "get out of my way please" by tapping my umbrella with my trekking pole. This momma recognized! She removed herself from the tree trunk and backed off about 30 feet from the trail allowing me room to pass while continuing to tap my pole. After I passed I said "good girl" and she went back to the tree trunk to get the cubs. What a way to get up close and personal. 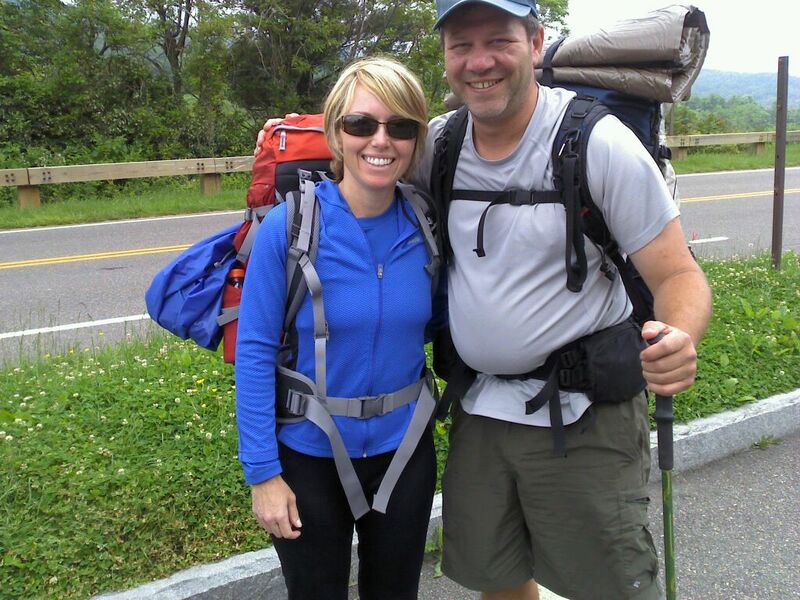 The next meaning of "challenge" comes as the games hikers like to play on the trail, such as the 4 state challenge. 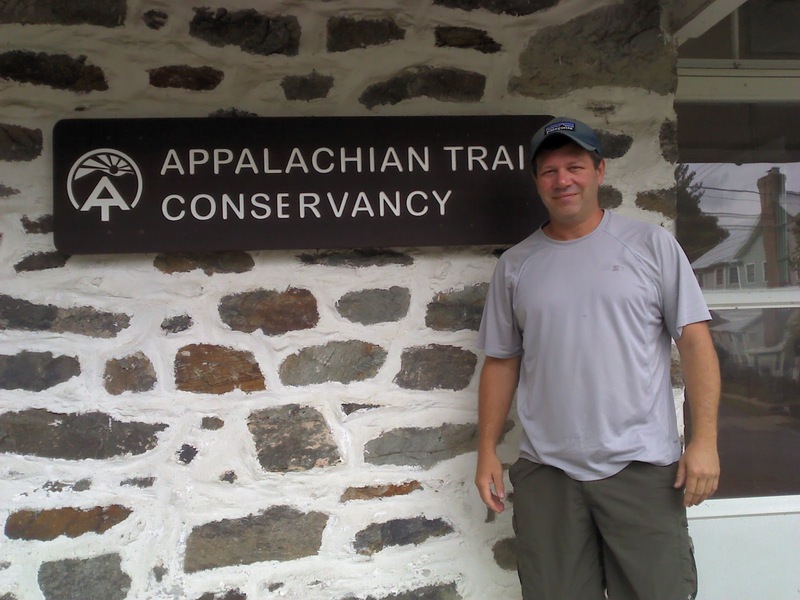 This challenge starts at the Virginia border with West Virginia and continues through Maryland to Pennsylvania, a hike of over 40 in less than 24 hours. One of my buddies, Houdini did the challenge successfully. I however am glad I didn't try. 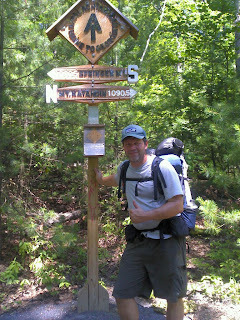 I would have missed all of Maryland and the nice people along the trail. I however did have to deal with the challenge of the rocks in MD. The challenge I've been looking forward to was the half gallon challenge. 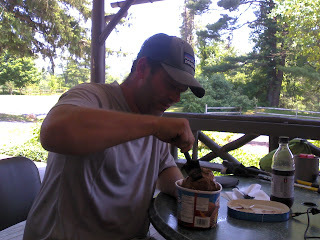 At the half way point of the trail hikers attempt to eat a half gallon of ice cream. For our efforts all we get is a little wooden spoon and bragging rights. I ate my half gallon in 22 minutes, not bad considering the darn ice cream was frozen solid. I eat, I eat, and I eat. So far I have found that I can consume all the junk food I want, have several cheeseburgers, a couple pints of ice cream and still be hungry before bed. And I've lost 30 pounds! 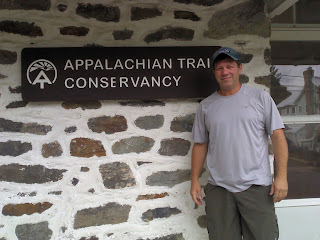 Hiking the AT has been the best weight loss plan EVER! 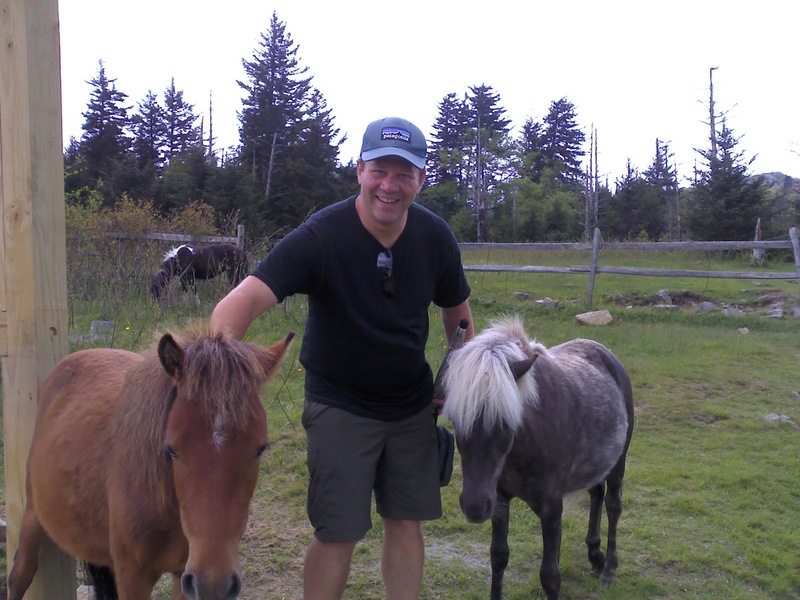 An update on my buddy Bill... He's WAY ahead into Massachusetts now doing over 30 mile days. I wish I could go that many miles, but I'm glad I get to see all that I can instead of rushing through the trail. Well I should be able to get through a few more states in the next couple weeks. So far I'm through 6 states and have 8 to go. For now my next big goal is Bear Mt, NY where I'll be headed home to NJ for a couple days off with the family. Good bye Pennsylvania - HELLO NEW JERSEY!